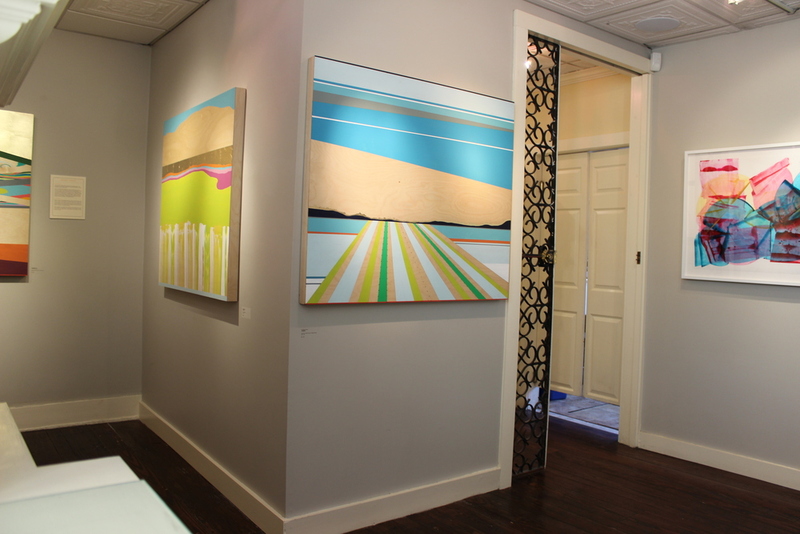 Cos Cob, CT, January 2014--The Drawing Room Art Gallery is pleased to present the new group exhibition, Dialogue in Color, which runs January 25, to March 24, 2014. 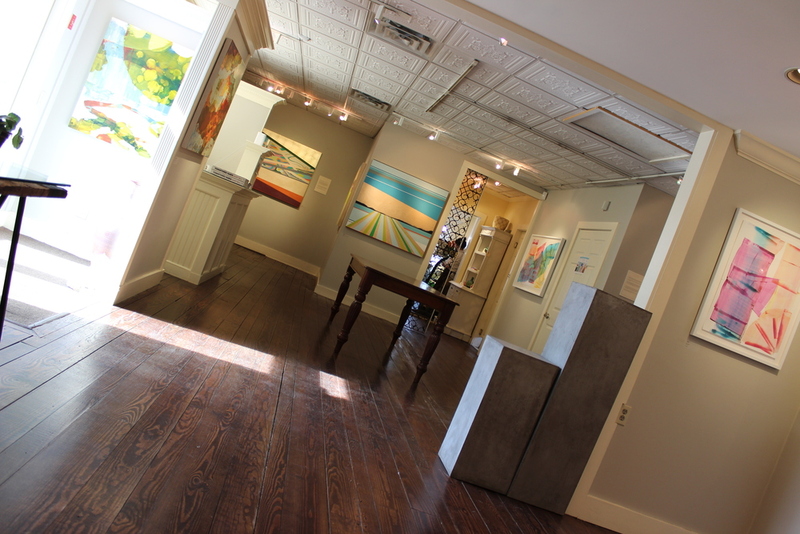 The Drawing Room invites the greater public to attend the Opening Reception and meet the artists on Saturday, January 25, from 6:00-8:00 pm. The event is free and open to the public. 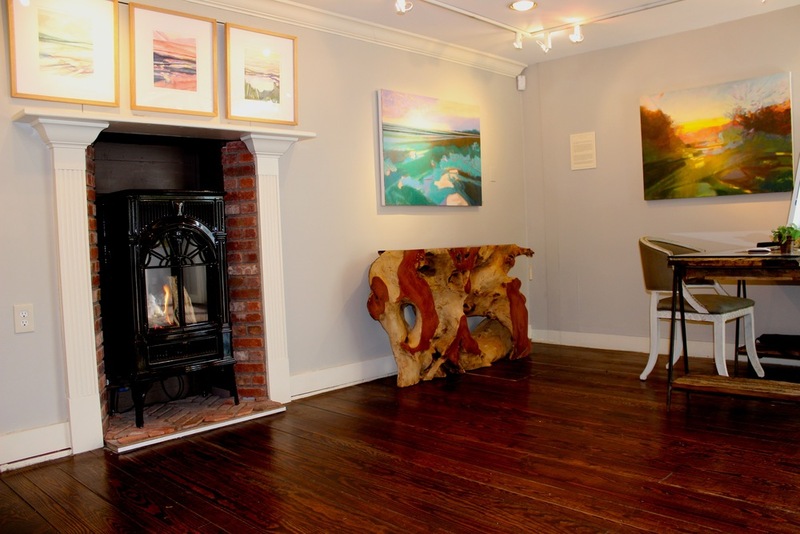 The Drawing Room Art Gallery is located at 5 Suburban Avenue, Cos Cob, CT. Dialogue in Color highlights the work of five women artists whose work engages in a personal dialogue with the vibrancy and language of color, often communicating on the subjects of landscape and abstraction. 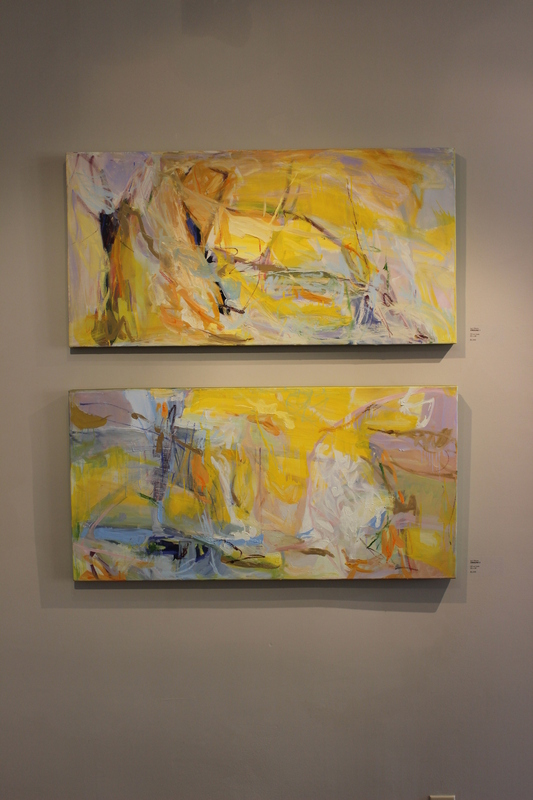 Emulating a richness drawn from both natural and man-made environments, and constructing complex forms with color, is a commonality amongst these artists. Works on display in this exhibit include acrylic & oils on wood, canvas, and aluminum, printmaking, and watercolor on paper. Featured artists are Lori Glavin, (Darien, CT), Sarah Irvin (Springfield, VA), Michele Kishita (Philadelphia, PA), Gail Salzman, (Fairfield, VT), and Alexis Serio (Troup, Texas). Inspired by domestic possessions which are stacked and saved, washed and stitched, patched together and revitalized in a cacophony of colors, shapes and patterns, Lori Glavin’s paintings are an orchestration of massive shapes dominating the picture plane, while smaller, more active areas of painterly marks activate the painting. These moments speak about order and disorder, the beautiful and the common, and the surprising beauty that comes from the accumulation of data and debris that enters our lives. To many, words carry an extraordinary amount of meaning with them. 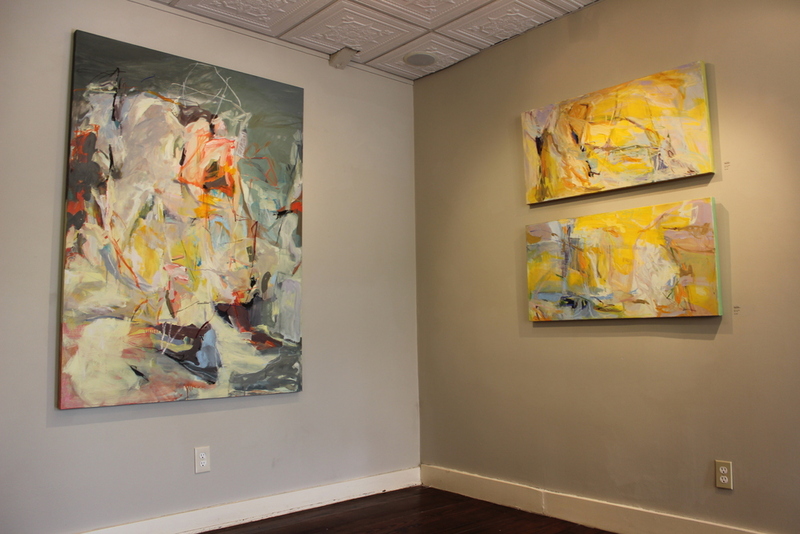 In a certain context, or standing alone, artist Sarah Irvin looks to challenge their meaning with distortion and abstraction. Irvin’s inked cursive text is destroyed and metamorphosized into large bold strokes of intertwined color on her Yupo paper. What was once a word evolves into a complex and curious color composition of visually melodic strokes. Hidden text becomes a representation of memory and illuminates both the strength and shortcomings of language. 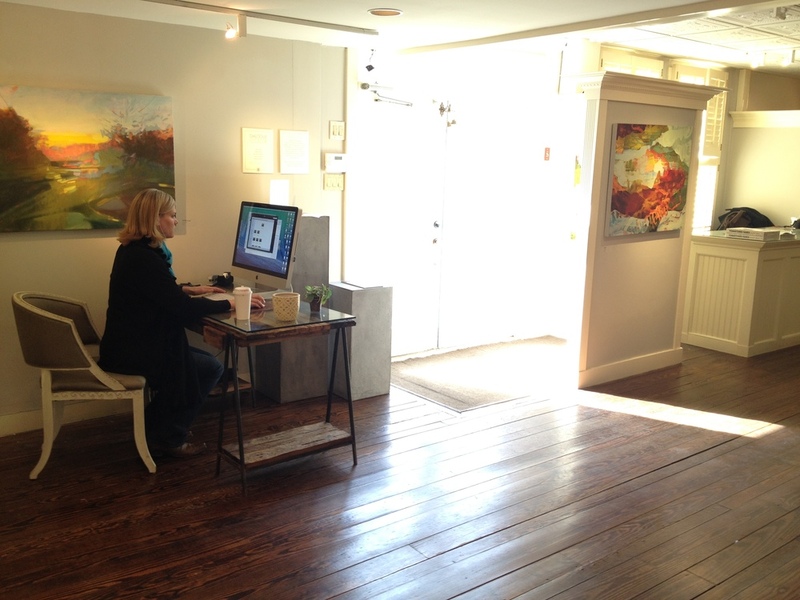 Gallery Artist, Michele Kishita is exhibiting her newest series of works on wood panel. Their compositions are approached organically, following the natural whorl of the grain visible in the wood itself. Her choice of medium is indicative of the message she looks to convey. She’s inspired by how nature and man-made forms interact and her careful orchestration of compositions and laid out shapes display this dialogue. Organic forms of nature such as rivers and chasms collide with man with the use of the bridge. She incorporates nails, gold leaf, and acrylic paint to illustrate this idea, delineating the truly fluid resonances between what appear to be disparate elements. 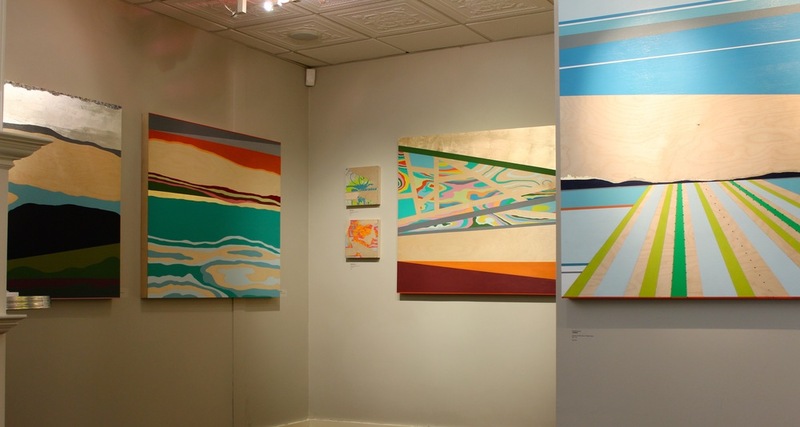 Gail Salzman’s luminous paintings on canvas, aluminum and wood panels explore water and its fluidity of time and memory. Subtle layers of pigment transparencies coupled with the gestural linear strokes and drips within the work, evoke a metaphorical investigation of both emotional and visual associations. 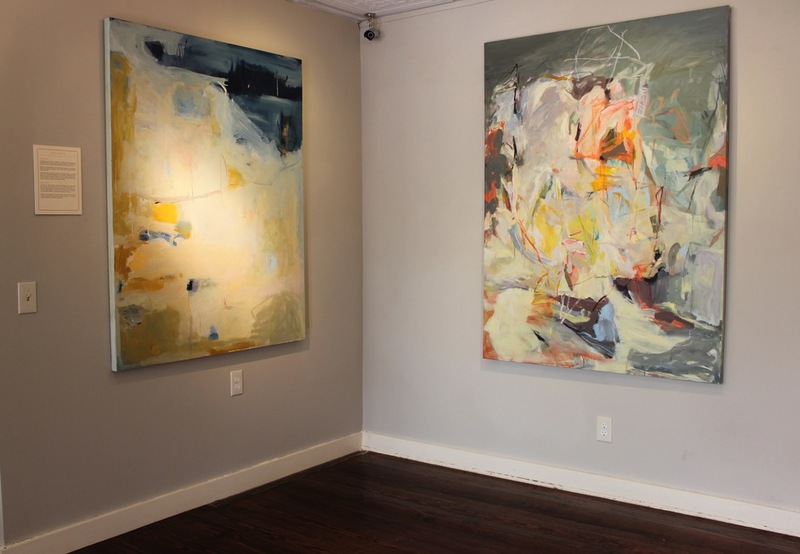 When encountering these works for the first time, one feels as if they are both beneath and above the water’s surface, observing a world rich with viscosity and luscious texture. Alexis Serio’s watercolors and oils explore the mood and light revealed within the landscape and how emotionally expressive and charged the memory of a place can be. Hazy, subtle washes of color become reflections of the distant past: a fleeting, transient moment. Through contrasting uses of thick and thinly applied paint, pigment and light appear to refract throughout the picture plane, making a romantic countryside become both real and dreamlike.